The Anime Expo in Los Angeles unveiled a new original anime with the relase of a teaser video and key visual. Cygames, in collaboration with MAPPA and Avex Pictures announced the green-lit of ZOMBIE LAND SAGA, an all new anime series. According to the details, the series will get a fall 2018 premiere. Cygames is a video game development studio which has previoulsy brought out titles such as Granblue Fantasy and Shadowverse. This seems to the be the latest anime project for the anime production company MAPPA and it has previoulsybrought out anime titles such as In This Corner of The World and Yuri!!! on ICE. The teaser video has barely any animation and that surely is dissapointing. The poorly made video points to a possiblility that this announcment was made in a hurry. Barely any real work must have taken place yet. One cannot help but notice the similarity of the video with that of The Walking Dead TV series. How original this anime is going to be is something that we need to wait and watch. The teaser has no visuals for even a single character. We can only wonder how the character desgins are going to be. And the plot? If the images are going to be of any hint, the series will be set in the U.S. The producers seem to launch this with a clear focus to win the U.S. audience. The imagery used in the teaser video also strongly supports this view. 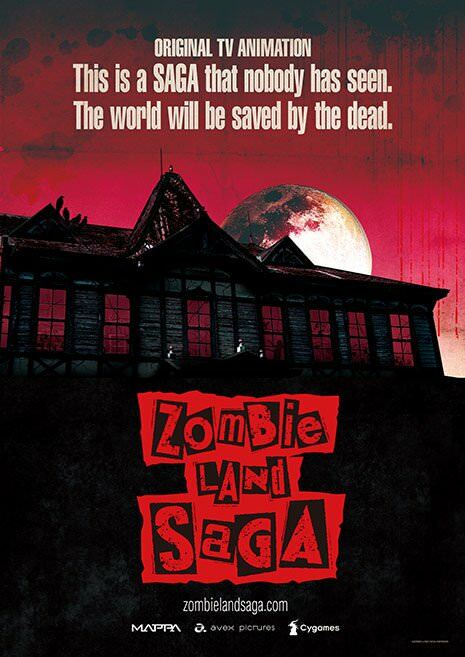 Fans of Zombie genre would serioulsy lookforwad to this series. And if you are one, do let us know if you are excited about this announcement.